Annies Place in Whitby, Yorkshire sleeps 6 people. 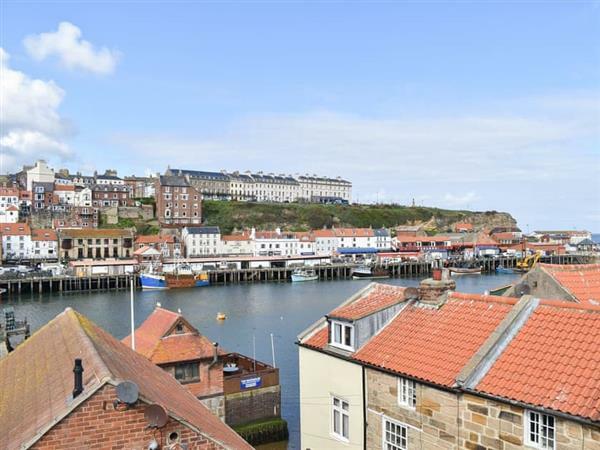 Annie’s Place in Whitby is situated on the most popular street that leads up to Whitby Abbey; Annie’s Place is a duplex apartment above the owner’s traditional sweet shop. The apartment has living space on the first floor with the bedrooms on the second. To the front of the property, you have views of the cobbled streets leading to the town, and to the rear you overlook the estuary and out to sea. Whitby is great for all age groups and is a very popular all year round resort. There are plenty of vibrant local pubs and restaurants as well as the independent shops and art galleries that adorn the streets into town. It is a bustling fishing town and is one of the most visited resorts in the north of England. There is a large beach for your children to play on, and it is also a great place to walk your dogs as you have over two miles of beach leading to the next resort of Sandsend. To the north of Whitby you will find the small fishing village of Staithes, and to the south, the popular resorts of Robin Hood’s Bay and Scarborough. The beach is 200 yards from Annie’s Place in Whitby. With the shop 10 yards, the pub is 100 yards and the restaurant is 20 yards from Annie’s Place. Living/dining room: With 43 Freesat Smart TV. Gas central heating, electricity, bed linen, towels and Wi-Fi included. Welcome pack. 1 small dog welcome. Public car park 400 yards. No smoking. Holidays at Annies Place run from Saturday to Saturday. Pets allowed at Annies Place. For a better idea of where Annies Place is, you can see Annies Place on the map below. Annies Place is in North Yorkshire; should you be on the lookout for a special offer, you can find all the special offers in North Yorkshire. It's always worth checking to see what is on offer at the moment. Do you want to holiday near Annies Place (UK11137), you can see other cottages within 25 miles of Annies Place; have a look to find your perfect holiday location.